Joining in on the hype of the upcoming Star Fox Zero and Legend of Zelda games, GameStop has opened its doors to preorders of Nendoroid's latest figure of Link (his Majora's Mask iteration), as well as a GameStop-exclusive stone statue of everyone's favourite fox in the sky, Fox McCloud. The former will retail for $46.99 and will be released on 15th March 2016. As with all Nendoroid figures, the Link figure will come with interchangeable faces and accessories (Majora, Deku, Goron, Zora, and Bunny Hood masks, as well as a Red Potion and Tatl in this case). It joins the Toon Link figure in Nendoroid's Legend of Zelda collection. 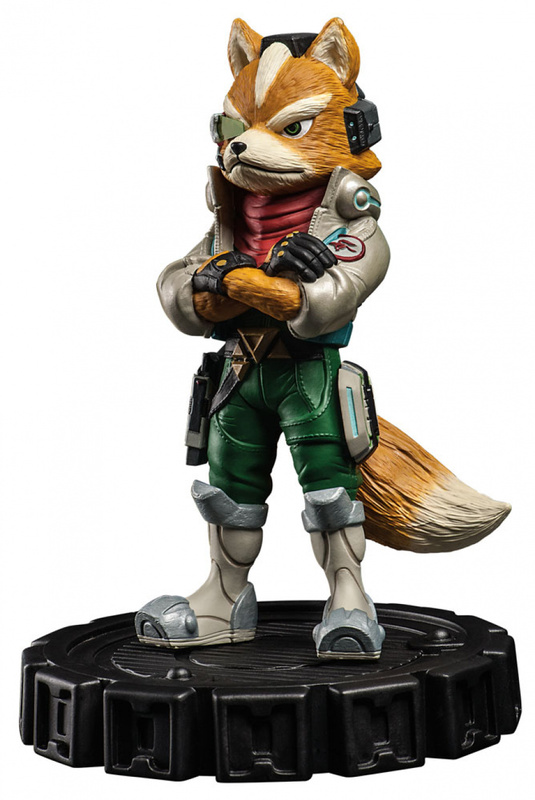 The aforementioned Fox McCloud GameStop exclusive will retail for $79.99 and will be available earlier than the Link figure - on 9th February 2016. The hand-painted statue stands at eight inches tall and is made from resin stone, making each figure "beautifully detailed". If you're tempted, you better be quick, as the statue is limited with only 5,000 of them being produced. Let us know if you'll be getting your paws on any (or both) of these. I swear the market's been over saturating with these things. One day there's going too be Landfills with nothing but these things. I kinda want the Star Fox statue but I'm not sure how good the paint on it is from the picture. Sort of off-topic, but I would LOVE to see a Funko Pop Vinyl series for The Legend of Zelda. Aww, Link looks so cute just like every other Nendoroid. My wallet is so relieved that retailers in my country don't seem to stock them. 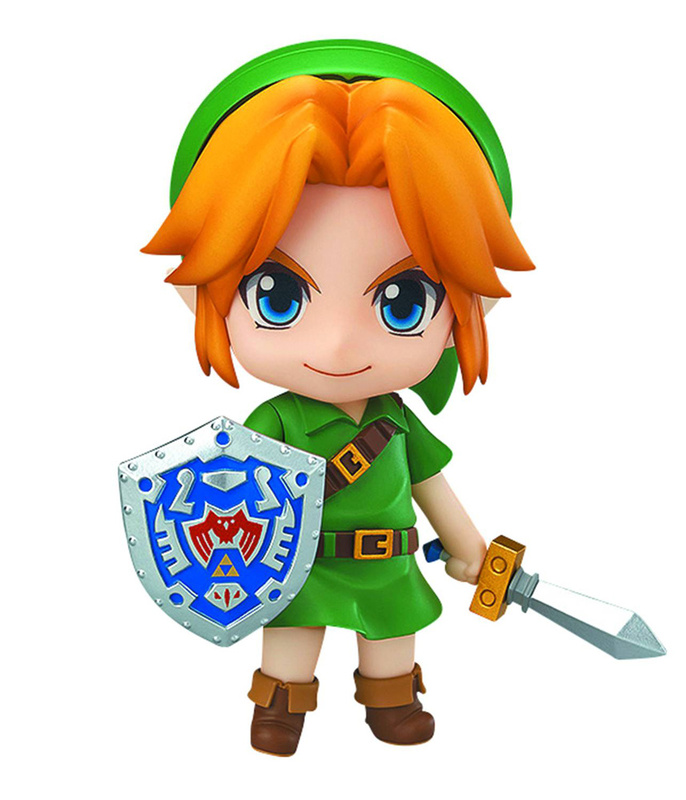 The Link Nendoroid is really nice, but I've already got a Wind Waker Link Nendoroid and a Ocarina of Time figma, so I think I'll pass. The fox figure is really nice as well. I want Fox so badly but not $80 badly. $30 would be my max. I really want that Fox statue. Not even that big of a SF fan, I just really like his design in SF: Zero. I do like that Fox statue...getting the Link figure no matter what. Can someone link me to a picture of the Toon Link Nendoroid? @BluStreak Same here. I love StarFox 64 but that is the only game in the series I enjoy. I just think Fox is the coolest looking game character ever. I'm almost about to pull the trigger on buying it. I just wish it weren't so darn huge. I prefer smaller figurines. I'm not criticizing or anything, but what makes Nendoroids so expensive? I'm happy enough with my Fox amiibo, best pose anyway. Also I have teh 4" from World of Nintendo. Classic Fox. @AlexSora89 Interchangeable parts and fairly pose-able figures which are very well made. Also, they're a Japanese company so there's bound to be an increase in the price to make consumers pay for import taxes in one way or another. I have the Wind Waker Link (I still haven't opened it up, but I will someday) and the quality really is excellent. Definitely getting the new Link Nentendroid to go with the other two nice Link figures, and Mario and Luigi and Yoshi! Owning a small handful of these, I believe it's really just more or less the high production quality and the limited production run . I think there is a lot of touch labor involved with the finish, assembly, inspection and even careful packaging of these things. The figuarts and nendroids figures usually are made for only one short production run, so there is limited supply. If there is solid demand , they produce another run a year or so later, and repeat. I believe the Skyward Sword Link has gone through this for 3-4 cycles. $40 to $50 is semi reasonable...it they were cheaper they would be even harder to find, and the scalpers would be buying up all the cases to sell at triple the price on eBay. Especially the Fox-one looks cool!